One thing I love about Summer is how it allows me to make such simple outfit choices - just a basic tee and jeans - yet make them my own. This outfit required minimal effort, thought, planning and styling - a last minute rush job, but I dare say it doesn't look it, if I say so myself. Take it apart, and it's still your basic jeans & tee combo (with a sassy shoe thrown in for good measure, obvs). I bloody love my statement pieces , so with every outfit I like to have one eye-catching thing. In this, it is of course the jeans. Bold colour, cut and finish. 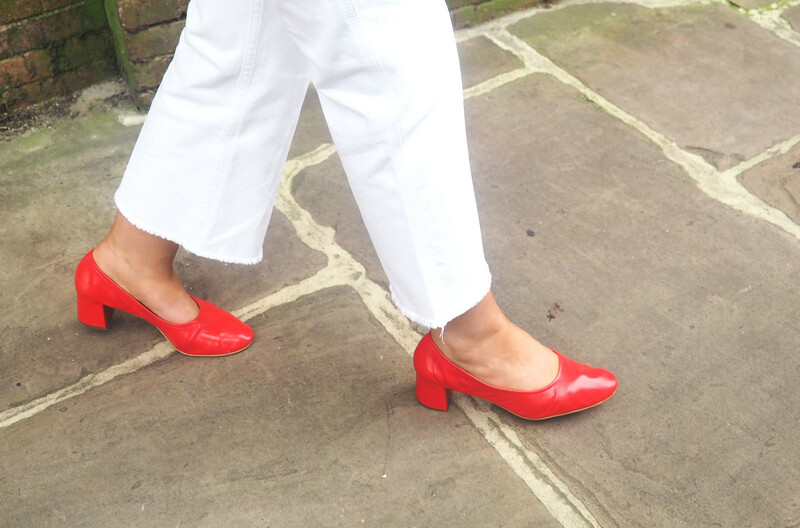 I've never been one for white jeans, y'know the drill, too messy, too clumsy blah blah blah, but this year I took the plunge and I can honestly say these have been my best purchase all Summer. Nice job, Topshop. But all good things must come to an end, even sassy jeans. 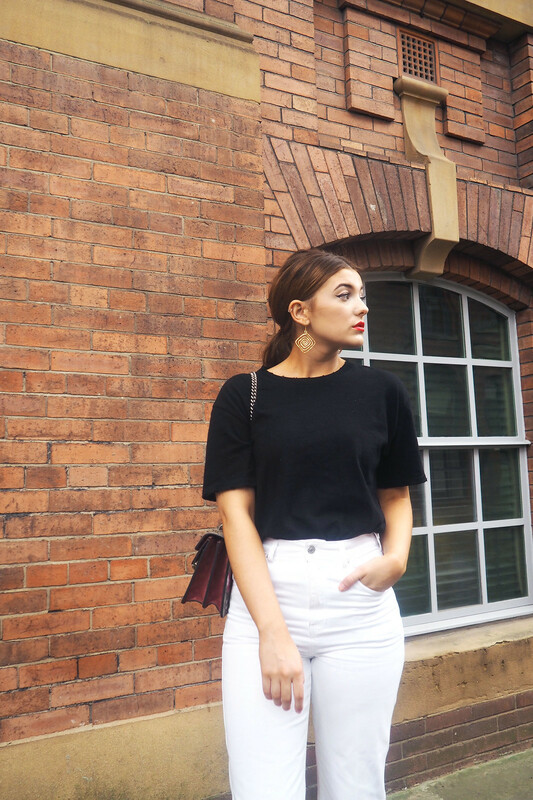 So having said goodbye to Summer, I'll be popping these jeans away until next season, and I shall wait in hope for Topshop to release these very jeans in a black wash for Autumn.